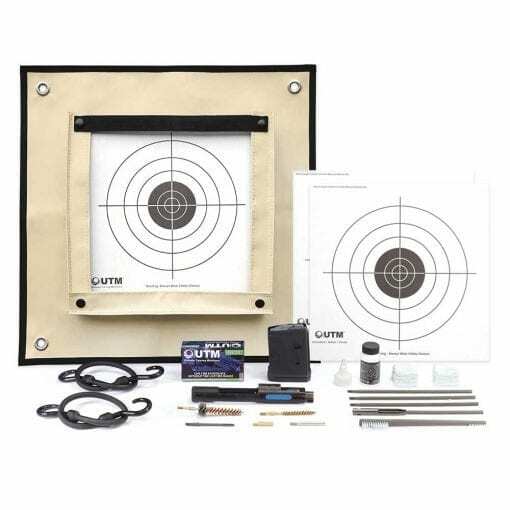 This Kit includes the AR-15 Conversion, 5.56/.223 Target Shooting Ammunition (30 rounds), Magazine, Target Holder, Projectile Trap, and Cleaning Kit. UTM products are designed for the utmost safety, reliability and low maintenance. 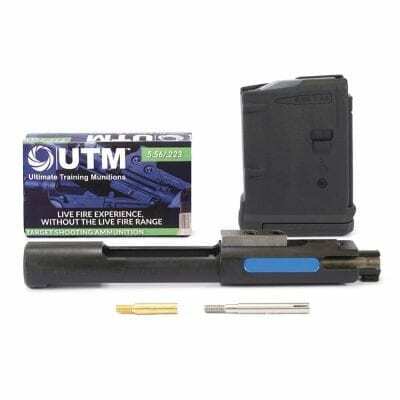 The UTM Pistol Conversion is expertly engineered with Fail-Safe measures to prevent the discharge of live ammunition. UTM Conversions are easy to install. UTM products are a safe, reliable and accurate alternative to live ammunition that helps avoid the need to go to a range – ideal for beginners, recreational and competition shooters. Whether you are an off duty police officer, hunter, competition shooter, firearms instructor or simply someone who enjoys the shooting sports, the UTM products will revolutionize how you practice target shooting. Now you have the freedom to target shoot virtually anywhere you want and when you want. You can practice and improve your skills and proficiency without using a single round of live ammunition stock.